In the age of “always on” and “on-the-go,” small business owners who haven’t thought about how their websites function on a mobile phone are in danger of being left behind. Fifty-five percent of smartphone owners use their phones to go online, and 57 percent wouldn’t recommend a website they had trouble accessing on their phone. So, how can you optimize your website for mobile browsing without the hassle and cost of a developer or engineer? We’ve compiled some helpful tips and guidelines in the infographic below. Just click to enlarge! So you want your website to make you look big. But the business experts I talked to recently say small is cool with customers, too. Small businesses, they say, have a personality, flavor and sensibility that big businesses can’t match. And when it comes to what you put on your website, they urge: Don’t be afraid to tout your smallness. Maybe you’re a couple working side-by-side in a spare bedroom or a fourth-generation entrepreneur working to someday hand it over to a son or daughter. Maybe you’re putting yourself through grad school. Or you operate from a remote site in the hinterlands and you use only recycled materials. Presented well on a home page and/or an “About Us” section, all of these may have unique selling points to customers. “People want character; it has meaning,” adds Kelly Cutler, chief executive of Marcel Media, a Chicago-based Web advisory firm. “How folksy you get depends on your industry.” An attorney may not want to project an image of him or her working on a leather sofa with a dog curled up nearby. But that may work well for an artist or craftsperson, even an architect, Cutler and others say. Answer the question “Who are you?” as interestingly and compellingly (and honestly) as possible. This includes writing management bios that mention your expertise, years of experience and any unique attributes or details that may set you apart from others.You need to answer, Bredin says, “What is unique about your business? Why should I buy from you?” This is missing from many business sites because the owners haven’t done the strategic thinking necessary to figure that out, she says. “It’s incredible how many sites you visit and you’re not sure what the company offers,” Bredin says. Make it a priority on your home page to provide at least general information about your products and/or services, with links to specifics on a Products page.Many service-oriented companies, Cutler says, are concerned about divulging too much information about their offerings, for competitive reasons. Some also feel that consumers will have no reason to contact them by phone if they get all they need from the website. “There’s a balance that needs to be reached” in giving the potential customer enough info to make a buying decision, she says. More often than not, consumers will not contact a company for the missing product information–they’ll just move on to a competitor. Showing a physical location, even one that no one will ever visit, comforts a customer that your business is real and legitimate, Bredin says. Provide a phone number that maps to that location, rather than just an 800 number, she advises. This means customer testimonials, client lists, case studies, awards and recognition you’ve received, positive news clippings and the like. Potential customers indeed want to know who you do business with, and what current customers have to say about their experiences. Such items “forge the underpinnings of trust,” Porter says.Client lists are especially important if your customers are businesses. “If you’ve got some big-name customers, people like to see that,” Cutler says. But make sure you get approval from those you list as clients, she adds. Porter adds that having a presence on social networking sites and blogs, especially those serving your industry, is an increasingly popular form of validation among customers. “Social networking now has strong validation,” he says. SSL is an encryption system that helps protect the privacy of data exchanged between a customer and a website. If you have an e-commerce site that takes credit card information, customers want to know that their sensitive data is encrypted. Get SSL if you don’t have it. If you do, let customers know that and about any other safeguards you proactively take. Let customers know, step-by-step, important things such as how to order–and where to go and what to do should something happen out of the ordinary. Customers also want to know your shipping costs and procedures and how they can get status reports. (Don’t list your shipping costs and procedures after people enter their credit card information, Cutler urges.) Last but not least, customers want to know how you handle complaints and problems, return procedures and whether you have a money-back guarantee.Your processes can be described in a FAQ (frequently asked questions) page or separate “how to order,” shipping and/or confirmation pages. Include a way customers can contact your business or fulfillment agency for more information. The U.S. thrives based on the millions of jobs created by small business owners. Although these small businesses play such a vital role in our economy, a huge amount of risk surrounds new ventures that makes most prospective entrepreneurs hesitant to jump on board for just any promising idea. Nearly 95 percent of new ventures will close within the first five years of operation. Essentially, these owners lack the business acumen that is all but required in today’s business environment for success and longevity. Having knowledge of how to successfully and efficiently market your product can take you a long way in your industry, so keep the tips provided in this infographic, like starting small and knowing your market, in mind when you hammer out your strategy for success. 40% of small businesses are profitable. 95% of new ventures fail within the first 5 years. Creating a website is a great accomplishment, and often the start of lucrative businesses or exciting opportunities. However, the work isn’t finished once the website is completed. Website maintenance is important to be sure your visitors are getting the very best information, that maneuvering through the website is easy, and that you’re converting more visitors into customers. It’s important that the content on your website is always updated, so that individuals receive the latest news and information. You can avoid having to update content regularly if the content is “green” or relevant at all times. To ensure that your content is green, avoid references to current events or anything else that might date the content. If new products or updates are released, be sure that the information is added to the content on your website. 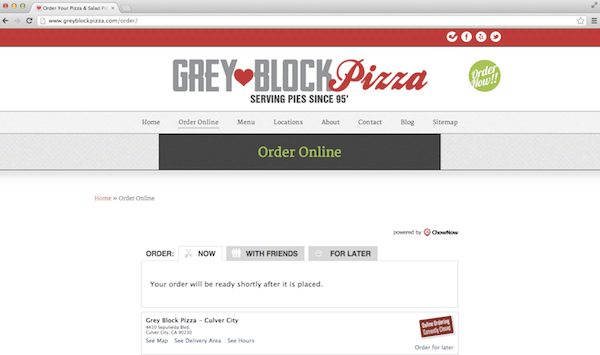 If a new product or service is added to your website, it’s important to ensure that the navigation is easy. If a new page is added, it should be available from the home page, and it should be easy to move from that product page back to the home page, and throughout the rest of the website. Visitors can get frustrated easily if it’s not easy to get from page to page on your website, and this could result in lost customers. Another important part of website maintenance is backing up your website. Sometimes, technology fails, and the last thing you want is to lose all of your website’s information and formatting. This is especially true if you’re updating frequently, or having other professionals work on your website content, design or other aspects. It should be backed up frequently, so if something does happen, you still have access to your website files. Backing up your website at least once a month is a great idea. Another thing you’ll want to do is make sure that all of your links are working. If customers attempt to click on links that aren’t working or that take them to an error page, they may easily become frustrated. This can result in the loss of potential customers as well as a decreased number of conversions. There are link checker tools that you can use, so it’s relatively easy to make sure each link on your website is working. If your website is created with a platform like WordPress or something similar, it’s important that you regularly update the platform. There are usually updates fairly regularly with these services, and those updates make the website run more smoothly and operate more efficiently. Most offer alerts when updates are available, so keep your eye on that and update when updates are available. Website maintenance is about more than just adding new content. It’s important that the website runs smoothly and is user-friendly for those who visit. This can go a long way toward increasing conversions and in turn, increasing sales and profits. Every company wants to engage and grab the attention of their viewers, but how can you do that? Almost every site you go on, visiters are bombarded with something. Whether its fancy text, a ton of text or even graphics everywhere. Keep your site simple, don’t let your visitors lose site as to why they came to your website in the first place. One of the top reasons why bounce rates are so high is because visitors are overwhelmed with the amount of information being placed in front of them. A great way to introduce your company and brand to your viewers, upon visiting your site is with an introductory video. According to The Deep End, “a website has ten seconds to capture a visitor’s attention before losing them forever“. A video is just the thing you need to keep them engaged and on your site. Your homepage leaves an impression on your visitors, so what do you want that impression to be? It should be amazing, make them want to keep coming back. Just remember to keep your video between 1-2 minutes, no one is going to want to watch an hour video. The impact of videos can be seen, especially since your visitors attention span has decreased from 12 seconds to 8 seconds. With the right script, you can maintain the attention of your visitors after those 8 seconds. There is so much information on your site, with an introductory video, it’s an easy and interesting way to provide your target audience and visitors with an understanding of what the company does without them having to read through a bunch of text. Still not sure if you should add a video to your homepage? tmg Custom Media, says that “60% of respondents said they would watch video previous to reading text on the same webpage, and 22% said they generally liked watching video more than browsing text for examining business information”. The main objective of your introductory video is to get your visitors to engage and connect. The best way to do that is by telling them what its like to work with you and the members of your company. And a great way to show people what its like to work with you is through your personality. All that text on your website makes conveying the personality of your company limited. Whereas videos give you an opportunity to show viewers exactly how you look, sound and act. What a great way to project your core values. Visitors and other companies want to know, are you young and fun? Bold and assertive? You can answer their questions about your personality and the culture of your company through your introductory video. Another benefit of using video, is being able to reach out to your visitors in a more personal manner, really let them get to know you. Now that you’ve told them about your company and they understand your culture, you can further engage and connect with each visitor by showcasing people using your product or service. Do your visitors know what to do next after landing on your homepage? Sometimes they have no idea where to even start. With your video you can provide each visitor with some sense of direction. You may have talked about something that interested them. This especially comes in handy when showing people using your product or when mentioning how your service can bring them results. They will want to learn more about that product or service. Something interesting and different that some companies have implemented into their introductory video is lead capture forms. Everyone wants to generate more leads, some companies actually ask you to enter your email to continue watching a video. According to Unbounce.com, ”Approximately 30% of page visitors watch your introductory video and 50% of those viewers watch the video in its entirety“. Another added benefit of adding a video is that sites that actually had an introductory video on their homepage saw a 10% increase in their conversion rates. If you still need some convincing, check out these six brands that created amazing introductory videos that will grab your attention and reel you in. 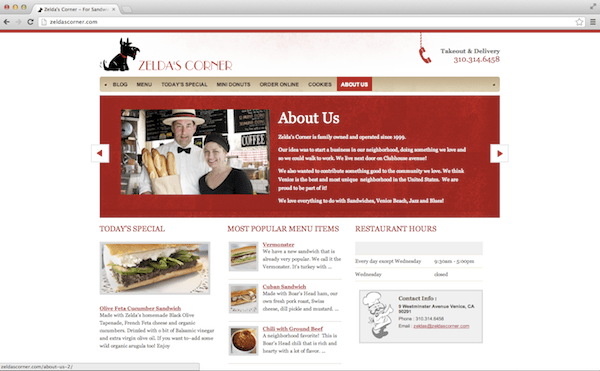 As a small business, your website is a vital piece of your marketing and branding efforts. Visitors are coming to your website for a specific reason, and you want to ensure that you answer their questions and use your website to sell your product or service. If you get your website designed wrong, you can easily lose thousands of dollars initially, and ultimately lose even more money in potential revenue that you could be making from a well designed, properly functioning website. 1. Putting urgency over understanding your target market. Instead of focusing on getting your website done as soon as possible, you must first research your target audience in your specific market. 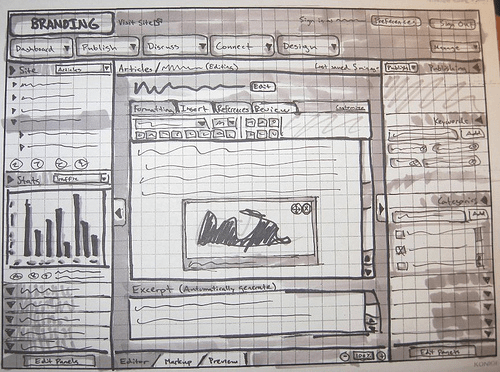 Then, design your website around your research. For instance, if your target market is older, perhaps the font size should be larger. Or if your product is geared towards a younger demographic, then you need to think about catering your site to be smartphone compatible. You’re going to have to determine where should your users go once they get to your site? That question is easily answered if you know your market. 2. Design is too busy or flashy. My company, Ciplex, is a web design and development company, and we know that in order to be successful on the Internet you need to focus on marketing your website — not a flashy design. Your design should not just be focused on bringing users there, but also getting them to the right place once they reach your homepage. Plus, flashy websites don’t look good on mobile phones or tablets, and a large majority of Internet users now visit websites from these wireless devices. Remember: when a visitor comes to your website, they probably already know what they want out of it. If within three seconds they can’t figure out what to do next, you might need to go back to the drawing board. 3. No clear call to action. What do you want users to do once they’ve found your website? Do you want them to buy your product, contact you, or subscribe to your business e-newsletter? You need to tell visitors what the next step is and when (ideally, now!). Your content should answer the question, “What’s in it for me?” and then the call to action tells them what to do next. 4. Paying too little or too much. You don’t know how many times people come to my company after they’ve hired a cheap designer, let them make business decisions that are poor, and ended up with a horrible product. At the same time, companies get distracted by expensive agencies that work with big brands, and don’t realize these agencies might not be able to help a small business that’s ROI focused. Simply put: don’t blow your budget on your website, but do your research to ensure you’re receiving a quality product. Customers expect your website to contain the latest information about your products, services, and company. When it doesn’t have this, they may assume you’re not in business any longer, or simply aren’t innovative and ahead of the competition. Your content must address the needs of your customers (or potential customers) and be updated as things change. If you have a blog, updating it at least once a week — if not more — can help you drive visitors to your website and keep search engines happy. Additionally, avoid putting links to your Facebook or Twitter pages if you only have a small following. People may think your business is too small and end up not hiring you. 6. Trying to target everyone. This goes back to knowing your target market; your website will be a mess if you try to accommodate every kind of visitor you might end up getting. It’s best to figure out your most frequent users and focus on creating the best possible experience for them. If you try to please the masses you’ll likely end up not pleasing anyone. 7. Taking the DIY route. 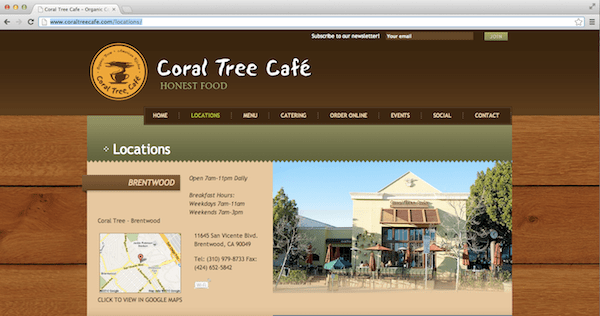 Your website is often your customers’ first experience with your brand. If you don’t have design experience, do you really think you can do it justice? Remember first impressions are everything. Don’t allow your customer to make assumptions about your business because of a poorly designed website. What do you think? What web design mistakes really drive you crazy? Banner ads and print ads can be expensive. And they are not necessarily the best way to advertise your small or mid-size business. So to find how to get the greatest return on your advertising investment, Small Business Computing surveyed small business owners. 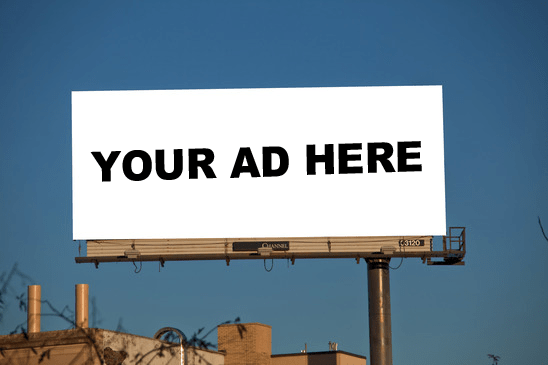 Below are 10 of their top suggestions for how to advertise on a budget. Riker adds that you don’t have to spend a lot of money to get a lot of traffic. “A small daily budget — $10-$20/day — can provide you with a large amount of traffic and in turn qualified leads, as long as the ad is relevant,” he said. Even if people don’t immediately make a purchase because of the Facebook ad, many of them wind up “liking” her business, she said, which lets Blue Star Bazaar create a database of potential customers. “One of the best ways to advertise and get traffic to your website is by using StumbleUpon ads [StumbleUpon Paid Discovery],” noted Chris Wise, the online marketing director at CustomerRave. “They cost as little as $0.05 a click, so for $5 you can get 100 unique visitors to your site. While the bounce rate is more often than not higher when using these ads, it’s a great way to advertise contests, giveaways and big promotions,” he said. And if the content you are promoting proves to be popular and receives a lot of “likes,” you will start receiving free traffic from Stumbles, which can go on for months, even after you have stopped advertising. Another great way to advertise your business is to “submit articles on topics your customers may be interested in to reputable websites, such as Ezinearticles.com, Articlesbase.com or TheFreeLibrary.com,” said Matthew Kostanecki, a marketing specialist at Archon Systems. “In exchange for the content, they allow you to include a couple of back links to your website. Not only does this provide you with potential traffic and leads to your business, it also helps establish you as an expert in your related field,” said Kostanecki. Can’t come up with a subject to write about? He suggests asking your customers about their biggest pains and problems. “I got the equivalent of $1,000 in advertising by building the website for the Rhode Island Rally for Recovery,” explained Benjamin John Coleman, founder of The Origami Bonsai Company. And his investment of time really paid off — resulting in $5,000 in new business. That’s because when other vendors who participated in the Rally saw what a great job his company did building and maintaining the Rally website, they hired Coleman to help them with their websites. And if you can’t find a blogger who will review and write about your product for free, there are also bloggers “who will write about your site/product/company in exchange for a fee,” noted Mike Scanlin, CEO of Born To Sell. And even with a fee, that kind of endorsement is typically more effective and less expensive than a banner ad. “You’d be amazed at how many small businesses forget to sign up for services like Google Places, Yahoo Local, and Bing Local even though it’s free!” explained Mandy Boyle, the SEO manager for Solid Cactus. “Claim your local listing, fill out the information and take advantage of people searching for businesses in your area,” she advised. “Community-based online networks [such as Thumbtack and Quentin’s Friends] are a great way to cost-effectively get the word out about your business to a more targeted group,” explained Dana Leavy, CEO ofAspyre Solutions. Leavy uses a site called Quentin’s Friends, an invitation-only network where members can post recommendations and offers for their products and services for a very small fee ($15). “The service is location-specific, so my ad is going out to thousands of people who are specifically in my geographic area, New York,” she said. And Leavy’s return on investment has been an impressive 6,500 percent. If you own a B2B company, a good way to reach your target audience is through LinkedIn advertising, “We are a small business and our target market is small business users,” explained Damian Raffele, vice president, marketing, AnyMeeting. “If you have a small business that focuses on a particular area, flyers are a great way to advertise,” said Nathan Letourneau, co-founder of CampusBooks4Less. And they needn’t be expensive. Chances are you have someone in your company, or a friend or family member, who can help you design the flyer inexpensively (or for free) – and you can print the flyer in house or find an inexpensive printer. While not every method will work for every business, each advertising strategy is inexpensive enough that you should be able try a few to find out what works for you. Also, many of the sites mentioned, such as Google AdWords and Facebook, periodically offer advertising credits or discounts, which small business owners should use to their advantage.